Welcome to today's Saturday Service. In this issue I want to talk about marketing online for seniors. In particular, I want to squash the myth about being too old for doing something. We are all living older these days, I'm 75 as I write this, and many of us still feel we have a lot to share. Many of us also need to generate an income in our retirement because our pensions are not as great as we thought they were going to be. One of the fastest and most profitable ways to generate an income online is to create your own products. The idea of creating a product often stirs up mixed emotions in seniors. You may wonder if you’re even worthy of creating a product. After all, you’re old and who is going to buy what you have to offer? Then there are fears that you’re not smart or popular enough. These negative thoughts usually stifle any dreams that you may have of producing anything to share with the market. Here’s what every senior should know – you are NEVER too old to create and sell your own products. There are literally millions of items that you could sell online. It could be crafts on Etsy, infoproducts on ClickBank, your own little novels in the Kindle marketplace, mugs and hats in your ecommerce store, etc. The possibilities are endless. You just need to get started. 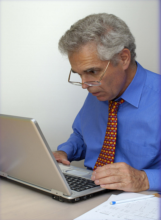 Let’s look at 5 reasons why any senior can sell his or her own product online. With age comes experience. You may have a wealth of knowledge to share with others. If you’ve been growing beautiful roses in your garden all your life, that’s a skill that thousands of people would willingly pay to learn. All you need to do is write a little book with all your advice and gems thrown in and the market will rush to buy what you’re offering. Good with your hands and love carpentry? Same thing. Sell blueprints for woodworking projects that others can use. Great with craftwork? Sell your creations on Etsy or eBay. Artistic and able to illustrate or draw portraits? Sell your services on Upwork or Fiverr. You’ll be freelancing, but let’s not forget, you are creating products here too. Before taking an idea to fruition, it’s imperative that you ascertain if there’s a need for the product in the marketplace. After all, it’s pointless to write a book that no one wants to read or create a product that no one wants to buy. You can check how well physical products similar to yours are selling in marketplaces like Amazon, eBay, etc. Look at the number of customer reviews on the product listing. If there are hundreds of listings, you can bet that the product has made even more sales because many people don’t bother leaving reviews. If your product is similar, it will probably sell just as well too… if you do the marketing correctly. The same applies to digital products and services that you offer. Check on the platform’s (ClickBank, JVZoo, etc.) bestseller list and see if similar products appear there. As for services, you may wish to see how much the top guys are charging. For example, copywriters charge an arm and a leg to write sales copy and people still hire them. There is demand for such services. Even if you’re not as good as the professionals, you can still offer the same service and charge a lower rate. There will always be people who can’t afford the top guys and choose you instead. That basically means that the more products you have out in the marketplace, the more sales you’ll get. You’ll never know who may stumble across your websites and products and buy what you’re offering… but if you do not create and sell your own products, you’ll NEVER get any sales at all! By creating and selling your own products, you will build a list of buyers. This is an asset that will be worth thousands if you monetize it well. A list with a hundred buyers on it is much better than a list with a thousand freebie seekers. The best way to separate the wheat from the chaff is by selling your own products. It’s much easier to sell to an existing customer than it is to find a new customer. When you build a list of buyers who love the products you create, they’ll be much more likely to buy whatever you create in future. If you have sold 3 books on the Kindle store, you might have a list with a few hundred buyers. Guess who you’re going to email when your next book comes out? Yes! You’ll email your current buyer list and many of them will quickly buy your book because they like your writing style, etc. You’ll get sales much faster with a buyer list… and you can only build one when you start selling your own products. By now you’ll realize that it’s not even about being old. Product creation is necessary if you wish to accelerate your online business and make good money. So, put your age and experience to use and unleash your product line on a market that’s waiting to buy from you.